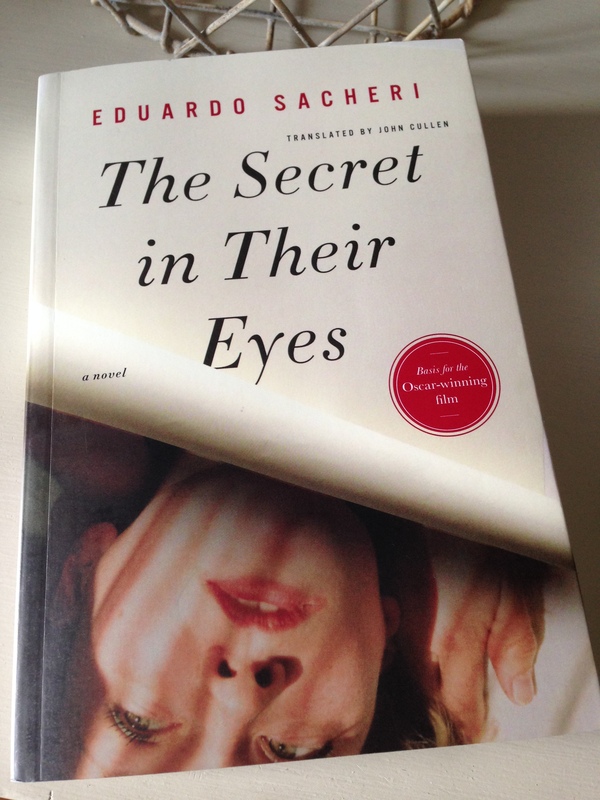 First published in Spanish in 2005 with an English translation following in 2011, The Secret in Their Eyes was Argentine writer Eduardo Sacheri’s debut novel. If the title sounds familiar, that might be because the book was turned into an award-winning film. The original screen adaptation—which happens to feature one of my favourite actors, Ricardo Darín—picked up the Oscar for Best Foreign Language Film in 2009. It’s been a while since I last watched the film, so the time felt right to pick up the book. I’m so glad I did. This is a first-rate novel—part psychological mystery, part exploration of corruption in the Argentine criminal justice system, but always engrossing. As the novel opens, Benjamín Chaparro is retiring from his post as a deputy clerk in the Buenos Aires investigative court, a position he has held for over thirty years. After two unsuccessful marriages, Chaparro is a little weary of life—in short, he is a man not entirely comfortable in his own skin. A little unsure as to what he is going to do with the rest of his life, Chaparro decides to write a book: an account of the fallout from a brutal crime that has occupied his thoughts for the past thirty years. Rewinding to May 1968, a beautiful young woman, the recently-married Liliana Colotto, is raped and strangled in her home in Buenos Aires. As the deputy clerk on duty at the time, Chaparro is required to attend the scene of the murder where he meets the police officer in charge of investigating the case, Inspector Báez. The crime leaves Liliana’s husband, bank clerk Ricardo Morales, utterly devastated. As Chaparro watches Morales, this quiet, unremarkable man seems completely lost. As the case progresses, it gets under Chaparro’s skin. Three months down the line, there are no firm leads or pieces of evidence on which to proceed, but Chaparro keeps the case file open despite the wishes of his boss. As far as the investigative judge is concerned, the fewer the number of active cases the better. During this time Chaparro keeps in touch with Morales, meeting him in a bar to discuss the situation every now and again. He soon discovers that Morales is too detached and too intelligent to find solace in anything other than the truth. Something about the young bank clerk’s melancholy demeanour, the way he appears resigned to suffer the harshest of blows in life, prompts Chaparro to do everything in his power to help him. As a result of his discussions with Morales, Chaparro uncovers a lead in the case and decides to do a little investigating himself. With the help of Inspector Báez, he identifies the murderer and so the case moves into a different phase. The police set off on the trail of Liliana’s killer, various developments happen, time passes. This is a slow burn story of a crime and corruption in the system, but it’s one that kept me gripped throughout. Things are never straightforward, especially in Argentina in the 1970s, a time when the country’s Dirty War was rumbling away in the background. At one point, it becomes clear that Chaparro’s own life is in danger, a situation that prompts him to move away from Buenos Aires for a number of years until he can return safely. Our protagonist is also very open about his frustrations with the Argentine judicial system, an organisation that seems to favour assholes and imbeciles in equal measure. The chapters recounting the investigations into Liliana’s murder, the subsequent developments, and Chaparro’s relationship with Morales are interspersed with shorter passages in which our protagonist reflects on his own life. Or, more specifically, the questions he is grappling with while trying to write his book…not to mention his feelings for Irene Hornos, the current judge in the investigative court. Following his retirement, Chaparro remains in touch with Irene—the woman he has loved from afar for the last thirty years—visiting her at work during the twilight hours of the night. The story also touches on Chaparro’s enduring friendship with his assistant, Sandoval, the very astute accomplice who plays a pivotal role in the investigation. At the end of the day, though, the core of Sacheri’s novel revolves around the inextricable bond between Chaparro and Ricardo Morales, a man who continues to radiate an unrelenting aura of loss. The Secret in Their Eyes is an excellent novel, one that’s definitely worth reading even if you’ve seen the film. As is often the case, the book is much subtler and more layered than the screen adaptation. There are differences in emphasis between the two forms as the novel allows more space for character development along with greater exploration of the connection between Chaparro and Morales. Certain aspects of the narrative differ as well, but I’ve kept discussion of the novel’s plot to a minimum for fear of revealing any major spoilers. Ultimately, this is an intricate story from an author in complete control of his material. Highly recommended. Interestingly, Sacheri worked as an office employee in the Buenos Aires sentencing court in the late 1980s. (In his introduction, the translator John Cullen explains that the Argentine judiciary at the time of the novel was divided into two jurisdictions: investigative courts and sentencing courts.) During his time in the sentencing court, Sacheri happened to hear an anecdote about an old case from the seventies. Even though the novel’s plot and all of its characters are entirely fictitious, Sacheri used the core of this anecdote as inspiration for a key element in his story. To say any more would take me into the realm of spoilers, but Sacheri’s own experience undoubtedly gives the novel an air of credibility. Guy has also reviewed this book, which I read for Richard’s Argentine Literature of Doom event. The Secret in Their Eyes is published by Other Press. Source: personal copy. 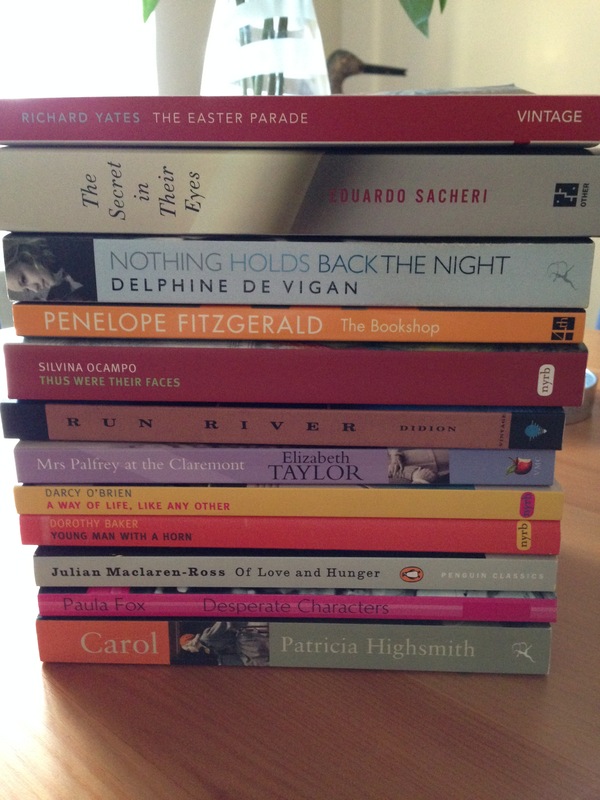 Book 16/20, #TBR20 round 2. This entry was posted in Book Reviews, Sacheri Eduardo and tagged #TBR20, #TranslationThurs, Argentina, Book Review, Eduardo Sacheri, Fiction, John Cullen, Literature in Translation, Other Press on November 24, 2015 by JacquiWine.